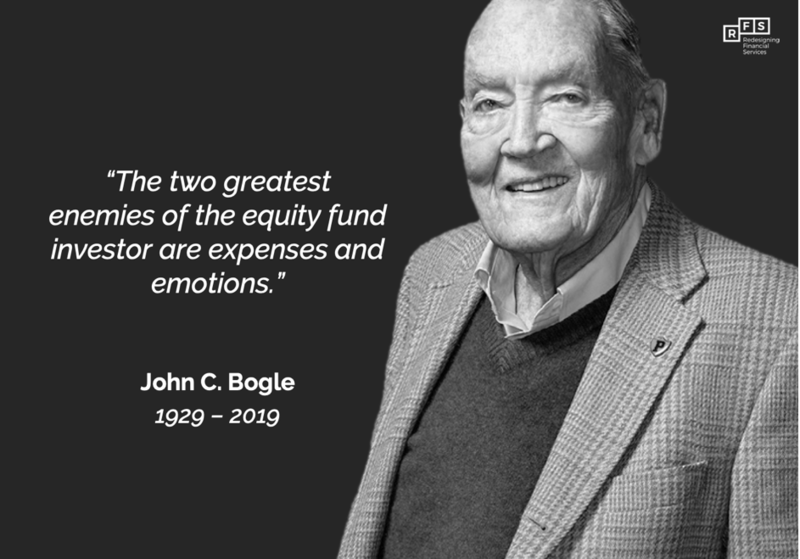 John C. Bogle died on Wednesday aged 89. He arguably did more to democratize investing than any other person in history. Bogle introduced the concept of index funds and drove the costs of participating in financial markets down by historic levels. In fact, today, his firm Vanguard has average costs of just 0.10% in the US and 0.18% in Europe, with the trend continuing to fall. The firm’s uncompromising commitment to “putting clients first, treating them fairly, and giving them the best chance for investment success” has positioned the brand as a bastion of integrity – and real client centricity – in the financial services business. Copyright © RFS 2018. All rights reserved.